A family in the Eastern Townships is speaking out against the Surete du Quebec and the province's police watchdog. They say it's been a struggle to get any information on the death of their son Riley Fairholm. The 17-year-old boy was shot and killed by the SQ in the early morning hours of July 25 in Lac-Brome. “It's really hard for me to look at the pictures and those good memories and those beautiful blue eyes,” said his mother, Tracy Wing. At the time of the shooting, Quebec's Bureau of Independent Investigations (BEI) said Riley had a weapon and was threatening police. Since then, however, his parents say they've been kept in the dark. They've now filed a complaint with the police ethics commission demanding answers. 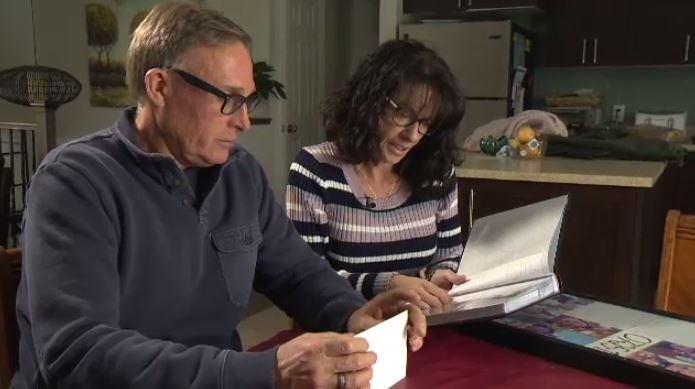 Based on what they know, Wing and Riley’s father, Larry Fairholm, don't believe the officer was right in firing a weapon and say police didn’t do enough to try to save their son as they waited for first responders to arrive. They also say they've learned that at least one person on the scene, likely a police officer, refused to answer the BEI's questions. Wing has made several Access to Information requests to find out precisely what happened to her son. On the morning of the shooting, Wing said it took her more than an hour to find out how he died. “Larry thought that he had got an old shotgun and shot himself. I thought he had thrown himself in front of a car,” said Wong, who said her son was diagnosed with depression at age 12 but never expressed suicidal ideation. “We've heard the worst. There's nothing else they can say to us that is worse than our son dying. What we want to know is the truth,” she said. As for the weapon Riley was brandishing, his parents say it was a BB gun. The BEI and the SQ both refused CTV’s request for an interview, saying the investigation is ongoing. “They seem to think that they need to filter all the information. Give us the information. I'm a big boy. Tracy's a big girl,” said Fairholm. For Riley's family, his death leaves a hole and is especially difficult as the holidays approach. “We're coming into Christmas season, and I'm just dreading it. I don't want to be around. His birthday will be December 31. He would have been 18, so that's going to be a tough day,” said Fairholm. Larry Fairholm and Tracy Wing look at photos of their son, Riley, who was killed by police in July.